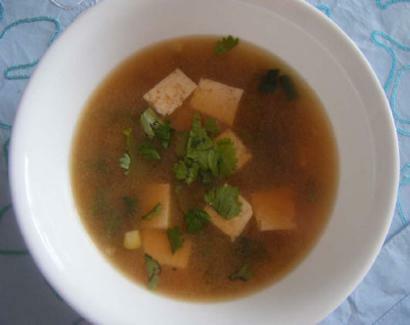 1.In a saucepan over medium‐high heat, bring the water and miso paste to a boil. Add corn, tofu, and green beans, (or any vegetables you like) and cook for 5 minutes. Garnish with cilantro leaves (or seedweed).